The Master's Plumbing Company is a licensed Birmingham plumber that has been serving the local metro area for many years. We are a full service plumbing company providing repair, installation, and maintenance services to homeowners throughout Birmingham and surrounding areas. From plumbing repairs to sewer line replacements and water line installations, you can rely on our Birmingham plumbers for all the plumbing services your home needs. Key Plumbing is locally owned and operated by Buddy Key, your master plumber, gas certified, master gas fitter, and Alagasco preferred installer. 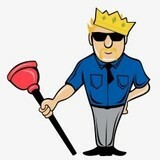 Key Plumbing is licensed and insured with over 26 years of plumbing and gas experience across the state of Alabama. 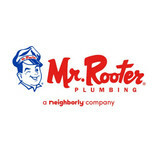 Our full-service plumbing company serves Moody, AL and the surrounding areas. 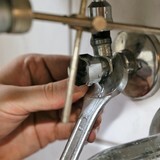 Our services include everything from fixing faucets to sewer repairs. 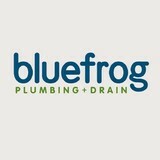 Call us for your sewer repair and plumbing needs! Jones Stephens has grown to a nationally-known organization in the industry offering a wide range of plumbing specialty products, decorative items, toilet seats, copper, and HVAC products. Currently, Jones Stephens offers an astounding 18,000 SKU’s with operations covering a combined 360,000 sq. ft. of warehouse space. Alabama Plumbing Pros, llc serves the Greater Birmingham Metropolitan area. APP is owned and operated by husband and wife team Ben and Amy. We offer free assessments, weekend appointments, and never charge overtime rates. We specialize in residential Service and repair, as well as remodels. When you need plumbing repairs done in a hurry, call the expert plumbers at Design Plumbing Company located in Bessemer, Alabama. Design Plumbing Company offers general plumbing services, including plumping repair, emergency plumbing, toilet repair, water heater installation and water heater repair. All plumbers are not created equal, so when you need a trustworthy, reliable plumber, call Design Plumbing Company of Bessemer, AL. Providing personal and highly experienced plumbing services in Central Alabama.Greg Widick and Jason Pierson, our two plumbers, have 56 years of combined experience in plumbing services.We offer you flat-rate, up-front pricing on most jobs. Some projects may be best suited for our low hourly rate.